Remembering and forgetting reflect fundamentally interdependent processes in human memory (Bjork, 2011). This interdependency is particularly apparent in research on retrieval-induced forgetting, which has shown that retrieving a subset of information can cause the forgetting of other information (Anderson et al. Journal of Experimental Psychology: Learning, Memory, & Cognition 20:1063-1087, 1994). According to one prominent theoretical account, retrieval-induced forgetting is caused by an inhibitory process that acts to resolve competition during retrieval. Specifically, when cues activate competing, contextually inappropriate responses, those responses are claimed to be inhibited in order to facilitate the retrieval of target responses (Anderson Journal of Memory and Language 49: 415–445, 2003; Levy & Anderson Trends in Cognitive Sciences 6: 299–305, 2002; Storm, 2011b). Interest in retrieval-induced forgetting has grown steadily over the past two decades. In fact, a search of the abstracts at the 5th International Conference on Memory (ICOM, York University, 2011) revealed 40 presentations specifically mentioning “retrieval-induced forgetting,” and nearly twice that number referring to the concept of inhibition. Clearly, researchers are interested in the empirical phenomenon of retrieval-induced forgetting, and inhibition is gaining increasing attention as a mechanism involved in memory. The goal of the present progress report is to critically review the inhibitory account of retrieval-induced forgetting and to provide direction so that future research can have a more meaningful impact on our understanding of human memory. Our impressive capacity to store information allows us to accumulate a vast array of knowledge and expertise. Yet, this capacity presents a dilemma: Namely, how can we store so much information while ensuring that we have access to it when it is needed? As all of us can attest, in many instances we want to recall something but simply cannot. An item in memory can be accessible at one point in time or in one context and become frustratingly inaccessible at another point in time or in another context. Of course, inaccessibility does not imply forgetting in a permanent sense, and when appropriate retrieval cues are provided, forgotten items can regain their accessibility (Tulving & Pearlstone, 1966). These observations suggest that forgetting is often a problem not so much of storage as of retrieval (R. A. Bjork & Bjork, 1992). Two factors that influence an item’s accessibility are the specific retrieval cues that are available (Thomson & Tulving, 1970; Tulving, 1983) and interference from other items also associated with those retrieval cues (Earhard, 1967; Watkins & Watkins, 1975). These two factors, however, cannot be considered in isolation. The accessibility of an item will depend not only on its relations to the current set of cues, but on the relations between the current set of cues and other items in memory (e.g., R. A. Bjork & Bjork, 1992; Nairne, 2002, 2006). Thus, even if a target item is strongly associated to a given cue, if other items are more strongly associated to that cue, the target item will be difficult to retrieve. Given these dynamics, one might wonder how retrieval is able to succeed as often as it does. Certainly many unwanted and irrelevant items can be associated with a cue, yet we are often able to bypass these items and access a particular target item. The theoretical question at hand is how we are able to accomplish this feat. That is, how are we able to access the particular items we desire and not become stymied by inappropriate items that interfere? One potential solution appeals to the concept of inhibition. Specifically, inhibition may act during retrieval to suppress, or diminish the accessibility of, interfering items, in order to facilitate the retrieval of target items. Evidence supporting the role of inhibition in memory retrieval has come primarily from the empirical observation that retrieving a subset of items can cause the forgetting of other items, a finding known as retrieval-induced forgetting (M. C. Anderson, Bjork, & Bjork, 1994). Although researchers have long known about the negative consequences of retrieval (e.g., Brown, 1968; Roediger, 1974, 1978; Tulving & Arbuckle, 1963), interest in the phenomenon has exploded over the past two decades, sparked by the development of an experimental paradigm referred to as the retrieval-practice paradigm (M. C. Anderson, Bjork, & Bjork, 1994). In this paradigm, participants study category–exemplar pairs and then practice retrieving half of the exemplars from half of the categories (see Fig. 1). After a brief delay, participants are given a final test for all items from the original study phase. Exemplars receiving retrieval practice are referred to as Rp+ items (i.e., lemon), nonpracticed exemplars from practiced categories are referred to as Rp– items (i.e., banana), and exemplars from nonpracticed categories are referred to as Nrp items (i.e., iron and silver). Retrieval-induced forgetting is observed when Rp– items are recalled significantly less often than Nrp items. The finding has proven to be highly robust and general, emerging in many contexts and with a variety of materials (e.g., with factual propositions, M. C. Anderson & Bell, 2001; Gómez-Ariza, Lechuga, Pelegrina, & Bajo, 2005; Macrae & MacLeod, 1999; phonological categories, Bajo, Gómez-Ariza, Fernandez, & Marful, 2006; text passages, Carroll, Campbell-Ratcliffe, Murnane, & Perfect, 2007; Chan, McDermott, & Roediger, 2006; Little, Storm, & Bjork, 2011; visuospatial materials, Ciranni & Shimamura, 1999; language selection, Levy, McVeigh, Marful, & Anderson, 2007; arithmetic facts, Phenix & Campbell, 2004; eyewitness memory, Garcia-Bajos, Migueles, & Anderson, 2009; M. D. MacLeod, 2002; Saunders & MacLeod, 2002; Shaw, Bjork, & Handal, 1995; mental imagery, Saunders, Fernandes, & Kosnes, 2009; creative problem solving, Storm, Angello, & Bjork, 2011; autobiographical memory, Barnier, Hung, & Conway, 2004; Storm & Jobe, 2012; and social contexts, Dunn & Spellman, 2003; Storm, Bjork, & Bjork, 2005). There are now close to 200 published studies focused on delineating the prevalence, dynamics, and boundary conditions of retrieval-induced forgetting. The upshot of this research has been mixed—although the empirical phenomenon is firmly established, the underlying mechanism remains under debate. The purpose of the present progress report is to critically review the evidence that supports and challenges the inhibitory account of retrieval-induced forgetting. 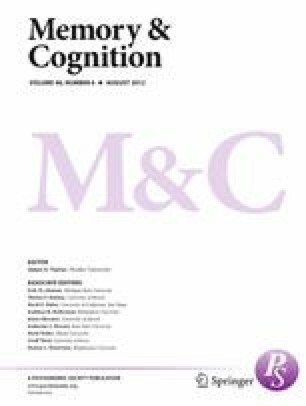 The extensive demonstrations of retrieval-induced forgetting suggest that forgetting is a general consequence of memory retrieval, with potentially important theoretical and practical implications. The finding has relevance for education, for eyewitness memory in legal settings, and for the growing population of bilingual speakers, to name just a few examples. In addition to relevance outside the lab, research on retrieval-induced forgetting promises to shed light on classic memory phenomena, such as retroactive interference, output interference, and part-set cuing. More broadly, the perspective advanced by the inhibitory account—that inhibition is involved in selecting against competing prepotent responses—provides an elegant point of contact with research on classic cognitive control tasks, such as the Stroop task, as well as on externally oriented spatial attention (M. C. Anderson & Spellman, 1995). The rise of retrieval-induced forgetting research also coincided with growing interest in the role of inhibitory processes in other cognitive domains, including attention, memory, and language (e.g., E. L. Bjork & Bjork, 1996; Dempster & Brainerd, 1995; R. Smith, 1992). Since that time, some have challenged the necessity of invoking inhibition (for a review, see C. M. MacLeod, Dodd, Sheard, Wilson, & Bibi, 2003), and noninhibitory accounts have had some success at explaining empirical observations that were originally assumed to reflect inhibition (e.g., item-method directed forgetting or negative priming). Research on retrieval-induced forgetting, however, represents one of the most clearly elaborated arguments for the involvement of inhibition—in the strong, mechanistic sense—in cognition. As such, the persuasiveness of this body of work has an impact beyond just the processes involved in memory retrieval, and it may inform whether inhibition is a useful way of understanding other cognitive processes as well. Thus, a critical evaluation of the inhibitory perspective is of great importance. For the concept of inhibition to be accepted as a useful construct in understanding cognition, it is critical for it to be explicitly defined. For example, what does it mean to say that an item has been inhibited? Inhibition has often been used to refer to the empirical demonstration of below-baseline performance. In this descriptive sense, inhibition is merely a statement about a pattern of data and does not provide a theoretical explanation for why performance is below baseline. We use the term in a stronger and more functional sense, however. R. A. Bjork (1989, p. 324), for example, referred to inhibition as a “suppression-type process directed at the to-be-inhibited information for some adaptive purpose.” In this stronger sense, inhibition is a functional mechanism that acts with the specific and direct purpose of reducing the accessibility of an item or items in memory, and an item is said to be inhibited if it is less recallable as a consequence of such a mechanism. In an extensive review of retrieval-based inhibition, M. C. Anderson (2003) argued that retrieval is one of many situations in which executive control processes are recruited to override prepotent or interfering responses. He argued that retrieval-induced forgetting is not the consequence of competition or interference per se, but rather is the consequence of control processes that help overcome competition and interference. In the context of the retrieval-practice paradigm, inhibitory control is recruited during retrieval practice in order to resolve competition by inhibiting the nontarget Rp– items, and thus to facilitate the recollection of the target Rp+ items. M. C. Anderson went on to outline several properties that appear to uniquely support the inhibitory account of retrieval-induced forgetting (i.e., cue independence, retrieval specificity, interference dependence, and strength independence), each of which we discuss in more detail below. One of the key characteristics of M. C. Anderson’s account is that Rp– items are inhibited at the level of their representation. According to this view, retrieval-induced forgetting is caused by the direct inhibition of Rp– items and not by damaging particular cue–response associations (for other reviews of the inhibitory account of retrieval-induced forgetting, see M. C. Anderson, 2005; Bäuml, Pastötter, & Hanslmayr, 2010; E. L. Bjork, Bjork, & Anderson, 1998; Levy & Anderson, 2002; Storm, 2011b; Verde, 2012). Although the terms retrieval-induced forgetting and inhibition are often used interchangeably, they have very different meanings. Retrieval-induced forgetting refers to the empirical phenomenon that retrieval causes nonretrieved items to become less recallable; it does not specify the mechanism by which the nonretrieved items become less recallable. Depending on the particular methods used or the populations studied, multiple factors can contribute to forgetting (e.g., response competition, strategy disruption, cue overload, cue biasing, or context biasing; for a review of how these and other mechanisms can account for retrieval-induced forgetting, see M. C. Anderson & Bjork, 1994). A common theme among many of these noninhibitory mechanisms is that retrieval strengthens the practiced items, which then has the effect of occluding, interfering with, or stealing activation away from nonpracticed items associated with the same retrieval cues (see, e.g., J. R. Anderson, 1983; McGeoch, 1942; Mensink & Raaijmakers, 1988; Raaijmakers & Shiffrin, 1981; Rundus, 1973). Importantly, proponents of the inhibitory account do not claim that noninhibitory mechanisms cannot cause retrieval-induced forgetting. In fact, response competition from strong items and the resultant blocking of weaker items is precisely the situation that purportedly triggers the need for inhibition. And it seems possible that both inhibition and interference contribute to some degree to all demonstrations of retrieval-induced forgetting. What inhibitory proponents have claimed is that many aspects of retrieval-induced forgetting are difficult to account for by purely noninhibitory processes. Thus, to provide evidence in support of inhibition, researchers have sought to demonstrate a pattern of forgetting that cannot be fully accounted for by noninhibitory processes and that is consistent with the function that inhibition is presumed to afford. In the following sections, we will review the current state of such evidence. We would also like to point out that although there is now considerable evidence supporting the inhibitory account of retrieval-induced forgetting, the larger field of memory research has been slow to embrace the idea that inhibition plays an important role in memory (e.g., C. M. MacLeod, 2007; for discussions of the reluctance to embrace inhibition as an explanatory concept, see R. A. Bjork, 1989, 2007). This reluctance is particularly true in terms of mathematical models that have traditionally explained interference effects without invoking inhibitory processes (but see Norman, Newman, & Detre, 2007). If the inhibitory account of retrieval-induced forgetting is supported, though, and noninhibitory accounts prove unable to explain the extant data, memory theorists should then incorporate these insights into their models and frameworks. To the extent that interference presents a real and ubiquitous challenge to retrieval, it seems likely, if not necessary, that there be some mechanism that allows people to overcome interference. The fact that most theories of memory do not include a role for such a mechanism makes this work even more important, as it has the potential to fundamentally change our understanding of how and why we forget. Proponents of the inhibitory account contend that retrieval-induced forgetting is the consequence of an inhibitory process that acts during retrieval practice to resolve competition. In the present section, we briefly summarize and evaluate each line of evidence that has been argued to support this account. One possible explanation of retrieval-induced forgetting is that Rp– items suffer output interference at test (Roediger, 1973; A. D. Smith, 1971; Tulving & Arbuckle, 1963). According to this claim, forgetting occurs because strengthened Rp+ items are recalled first, and output interference impairs the recall of Rp– items. Importantly, many retrieval-practice studies have employed category-cued recall tests in which participants were shown each category name and asked to recall the studied exemplars associated with those categories. On such tests, participants tend to recall Rp+ items first (owing to their being strengthened by retrieval practice) that might then impair the recall of nonoutputted Rp– items. In these instances, output interference may very well contribute to retrieval-induced forgetting, although it should be noted that the mechanism producing output interference has yet to be fully resolved. Forgetting is observed, however, even when output interference is controlled. For example, studies have employed category-plus-one-letter-stem retrieval cues (e.g., fruit–l_____) to control the order in which items are tested and to ensure that Rp+ items are not recalled before Rp– items (e.g., M. C. Anderson, Bjork, & Bjork, 2000; M. C. Anderson et al., 1994; M. C. Anderson & McCulloch, 1999; Aslan, Bäuml, & Pastötter, 2007; Bäuml, 2002; Bäuml & Hartinger, 2002; Johansson, Aslan, Bäuml, Gäbel, & Mecklinger, 2007; Storm, Bjork, & Bjork, 2007, 2008; Storm, Bjork, Bjork, & Nestojko, 2006; Storm & Nestojko, 2010). Forgetting has also been observed with materials other than the standard category exemplars when item-specific cues are used to control output order: proposition-plus-letter-stem cues (M. C. Anderson & Bell, 2001; Gómez-Ariza et al., 2005), semantic-associate-plus-letter-stem cues (Kuhl, Dudukovic, Khan, & Wagner, 2007), extralist-semantic-associate-plus-letter-stem cues (M. C. Anderson, Green, & McCulloch, 2000; Johnson & Anderson, 2004; Levy et al., 2007), and letter-stem cues in isolation (Bajo et al., 2006). The consistency of these findings suggests that retrieval-induced forgetting cannot simply be the consequence of output interference. To our knowledge, the only challenge to this empirical observation was reported by Butler, Williams, Zacks, and Maki (2001), who failed to find evidence of retrieval-induced forgetting with four different types of item-specific cues (they did find evidence of retrieval-induced forgetting with category cues). Subsequent research has shown, however, that their failures may have been due to uncontrolled semantic associations between the targets and competitors, which led to a form of semantic integration that protected the competitors from forgetting (Goodmon & Anderson, 2011). The fact that retrieval-induced forgetting is consistently observed when output order is controlled stands as a key finding that any theory, inhibitory or noninhibitory, should be able to explain. A noninhibitory process that is often used to explain retrieval-induced forgetting is strength-based associative interference (e.g., J. R. Anderson, 1983; McGeoch, 1942; Mensink & Raaijmakers, 1988). The idea is that retrieval practice strengthens a subset of items associated to a particular cue, thus blocking or making it more difficult to retrieve other items given that cue—even when output interference is controlled. If retrieval-induced forgetting is the consequence of strength-based associative interference, then the extent to which Rp– items are forgotten should be directly related to the extent to which Rp+ items are strengthened. One problem for this account, however, is that retrieval-induced forgetting has been shown to be largely independent from the strengthening of practiced items. For example, when a subset of items are re-presented for additional study instead of retrieval practice, this extra study results in comparable strengthening of target items but typically fails to cause nonstrengthened items to be forgotten (e.g., Anderson et al. 2000a; Bäuml, 2002; Ciranni & Shimamura, 1999; Saunders et al., 2009). Similarly, a variety of manipulations—including dividing attention (Ortega, Gómez-Ariza, Román, & Bajo, 2012; Román, Soriano, Gómez-Ariza, & Bajo, 2009), inducing stress (Koessler, Engler, Riether, & Kissler, 2009), inducing negative mood (Bäuml & Kuhbandner, 2007), and reexposing items between retrieval practice and the final test (Storm et al., 2008)—selectively disrupt retrieval-induced forgetting without influencing the strengthening of practiced items. These and other observations have shown that retrieval-induced forgetting can be selectively diminished while preserving both retrieval-practice performance and the strengthening of Rp+ items. This pattern of results poses a serious challenge for interference accounts that predict that strengthening and forgetting should be intimately related. Not only is strengthening Rp+ items insufficient to cause forgetting, it also appears to be unnecessary. Normal levels of retrieval-induced forgetting are observed when retrieval practice is made impossible, thus ensuring that participants fail to retrieve anything during retrieval practice (Storm et al., 2006; Storm & Nestojko, 2010). In fact, three experiments have directly compared possible and impossible retrieval practice, and none have found possible retrieval practice to cause more retrieval-induced forgetting than does impossible retrieval practice. This finding is difficult to explain by an interference-based account but is entirely consistent with the inhibitory account: Whether or not retrieval eventually succeeds, if competition is experienced during retrieval, then the competing items should be targeted by inhibition, and as a consequence, they should suffer retrieval-induced forgetting. Under some conditions, however, target strengthening can be sufficient to cause the forgetting of nonstrengthened items (e.g., Raaijmakers & Jakab, 2012; Verde, 2009). Raaijmakers and Jakab also argued that instances in which noncompetitive forms of target strengthening (e.g., extra study instead of retrieval practice) fail to cause forgetting can sometimes be explained by the fact that such tasks do not strengthen cue–target associations to the same extent as do competitive forms of target strengthening. That strength-based interference can affect recall performance is not surprising. As we acknowledged earlier, the fact that nontarget items interfere with the retrieval of target items is what triggers the need for inhibitory control. Thus, perhaps a more accurate way to characterize this line of evidence is that retrieval-induced forgetting is substantially less strength dependent than would be predicted by a purely strength-based account. Indeed, the correlation between target strengthening and nontarget forgetting is not only weak, it is often entirely absent. The observation that retrieval-induced forgetting is so frequently uncoupled from strengthening suggests that it should be regarded as another hallmark feature of retrieval-induced forgetting. If retrieval-induced forgetting occurs because retrieval practice strengthens the association between practiced items and their associated cues, then testing nonpracticed items using novel retrieval cues—that is, those that are independent from both the cues and the targets used during retrieval practice—should prevent practiced items from interfering with the recall of nonpracticed items on the final test. Yet, retrieval-induced forgetting has been observed even when novel and independent cues are employed. For example, M. C. Anderson and Spellman (1995) had participants study tomato as an exemplar of the category red and then receive retrieval practice on the pair red–blood. The subsequent recall of tomato was impaired, however, not only when it was tested via the cue red, but also when it was tested via the cue food. Cue-independent retrieval-induced forgetting has now been observed in numerous studies (e.g., M. C. Anderson & Bell, 2001; M. C. Anderson, Green, & McCulloch, 2000; Aslan et al., 2007; Bajo et al., 2006; Camp, Pecher, & Schmidt, 2005; Johnson & Anderson, 2004; Levy et al., 2007; M. D. MacLeod & Saunders, 2005; Radvansky, 1999; Saunders & MacLeod, 2006), providing evidence that is particularly difficult to explain by means of existing noninhibitory accounts. M. C. Anderson and colleagues argued that cue-independent forgetting occurs because inhibition acts to decrease the activation of nontarget items directly, thus rendering those items inaccessible irrespective of the cues provided at test (M. C. Anderson, 2003; M. C. Anderson & Spellman, 1995). It is important to note that failures to demonstrate cue independence have also occurred (e.g., Camp, Pecher, & Schmidt, 2005, 2007; Perfect et al., 2004; Storm & Koppel, 2012; Williams & Zacks, 2001), and some have argued that independent cues are not truly independent (e.g., Camp, Pecher, Schmidt, & Zeelenberg, 2009; Perfect et al., 2004). For example, although a new cue may be presented at test, participants may strategically use the studied cue to covertly mediate their retrieval attempt. If participants use this type of covert-cuing strategy, then they may experience interference from items associated with the studied category that were strengthened, suggesting that even independent cues may be susceptible to associative interference. Consistent with this possibility, Camp et al. (2005) observed cue-independent forgetting when participants were aware of the connection between study and test, but not when participants were unaware of this connection. That is, when participants were unaware of the connection, and thus unlikely to use a covert-cuing strategy, no cue-independent forgetting was observed. Camp et al. (2009) also found that recall performance using independent cues can be influenced by manipulating the accessibility of study cues. If test cues are independent of study cues, then manipulating the accessibility of study cues should have no impact on recall performance at final test. Yet Camp et al. (2009) found that providing additional exposure to the study cues facilitated the final recall of the associated exemplars, even when independent cues were employed. This cue-enhancement effect suggests that cue-independent tests may not be independent and that participants may, to some extent, engage in covert cuing. The idea that covert cuing might play a role in cue-independent retrieval-induced forgetting is not new. M. C. Anderson and Spellman (1995) discussed the possibility at length, as did M. C. Anderson and Bell (2001). By and large, however, the empirical evidence suggests that covert cuing is not responsible for cue-independent forgetting. For example, forgetting is observed even when cues are unlikely to prompt covert cuing (e.g., Johnson & Anderson, 2004; Levy et al., 2007), and recent work has tested the predictions of the covert-cuing hypothesis directly and found little evidence to support it (e.g., Huddleston & Anderson, 2012; Hulbert, Shivde, & Anderson, 2012). Huddleston and Anderson, for example, found that cue-enhancement effects disappear when the semantic relationships between study and test are adequately controlled. Finally, a closer consideration of covert cuing suggests that using a covert-cuing strategy may be more likely to mask inhibition than to produce it. That is, if participants are covertly retrieving additional retrieval cues, then using those cues could actually facilitate rather than impair recall of Rp– items. In this sense, covert cuing is certainly important to consider, but it seems unlikely that cue-independent forgetting can be solely produced by covert cuing. Finally, relevant to the debate regarding cue independence is the observation that retrieval-induced forgetting is observed on various forms of recognition tests and lexical-decision tasks (e.g., Aslan & Bäuml, 2011; Hicks & Starns, 2004; Román et al., 2009; Soriano, Jiménez, Román, & Bajo, 2009; Spitzer & Bäuml, 2007, 2009; Starns & Hicks, 2004; Veling & van Knippenberg, 2004; Verde, 2004). These observations have been interpreted as providing evidence for cue independence and for the more general idea that inhibition affects items at the level of their representations (e.g., M. C. Anderson & Levy, 2007). The argument is that when exemplars are presented on a final recognition test, they provide copy cues that cue the episodic representations of those items in a way that circumvents the shared categories, thus bypassing any form of associative interference from strengthened Rp+ items. Verde and Perfect (2011) argued, however, that the fact that retrieval-induced forgetting is observed on recognition tests does not necessarily provide support for cue independence. Dual-process accounts of recognition memory assume that recognition performance is influenced by familiarity and recollection (e.g., Yonelinas, 2002), and although familiarity may be context independent, recollection is likely to be context dependent and based on the retrieval or search for episodic details. If the retrieval-induced forgetting observed on recognition tests is cue independent, then impairment should be observed in terms of both familiarity and recollection. Verde and Perfect tested this prediction by including a response deadline during their recognition test that forced participants to make fast recognition judgments that, presumably, would more likely be based on familiarity. Although forgetting was observed on a self-paced recognition test, no forgetting was observed on the response-deadline recognition test (cf. Spitzer & Bäuml, 2007). If forgetting is indeed limited to tests that measure recollection processes, then recognition-based retrieval-induced forgetting may not provide clear evidence of cue independence. The inhibitory account assumes that inhibition acts to suppress nontarget items that compete with retrieval. Thus, if an item does not compete with retrieval, that item should not be inhibited or suffer retrieval-induced forgetting. Studies manipulating competition during retrieval practice have generally supported this prediction, showing that the items presumed to compete most with retrieval practice are also most susceptible to forgetting (e.g., M. C. Anderson, Bjork, & Bjork, 2000; M. C. Anderson et al., 1994; Bäuml & Samenieh, 2010, 2012; Shivde & Anderson, 2001; Storm et al., 2007; but see Jakab & Raaijmakers, 2009; Williams & Zacks, 2001). In addition to providing evidence that retrieval-induced forgetting is the consequence of a mechanism that resolves competition, competition dependence also provides evidence against noninhibitory accounts, most of which predict that weaker items should suffer at least as much retrieval-induced forgetting as stronger items (for opposing viewpoints on this issue, however, see Appendix A of M. C. Anderson et al., 1994, and Jakab & Raaijmakers, 2009). In the first study to show evidence of competition dependence, M. C. Anderson et al. (1994) found that exemplars of high taxonomic strength (e.g., for the fruit category, orange and lemon) suffer significantly more retrieval-induced forgetting than do exemplars of low taxonomic strength (e.g., kiwi and fig). Presumably, high-taxonomic-strength exemplars became inappropriately activated during retrieval practice and thus needed to be inhibited, whereas low-taxonomic-strength exemplars were unlikely to become activated and thus did not need to be inhibited. Additional support for competition dependence has come from research on between-language competition in bilingual speakers (Levy et al., 2007). Specifically, interlingual retrieval-induced forgetting was only observed for speakers who were slower to produce words in their nondominant language. Speakers who showed similar fluency in the two languages (i.e., those who experienced little competition) did not suffer retrieval-induced forgetting. In other work, Storm et al. (2007) showed that the intention to forget can ironically protect items from retrieval-induced forgetting. Research on list-method directed forgetting has shown that if participants are given a cue to forget a first list prior to learning a second list, the items learned in the first list exert less proactive interference on the learning and recall of the second list (R. A. Bjork, 1970; C. M. MacLeod, 1998). Storm et al. employed a variant of the list-method directed-forgetting paradigm, except that, rather than have participants study a second list, they were given retrieval practice for new exemplars associated with a subset of the studied categories from the first list. Consistent with the inhibitory account, to-be-remembered items from the first list suffered forgetting, presumably because they competed during retrieval practice, whereas to-be-forgotten items did not (see also Bäuml & Samenieh, 2010). That directed forgetting can reduce an item’s susceptibility to retrieval-induced forgetting is consistent with both the retrieval inhibition and contextual-change accounts of list-method directed forgetting (R. A. Bjork, 1989; Sahakyan & Kelley, 2002). In fact, recent work by Bäuml and Samenieh (2012) has suggested that a change in a participant’s internal context after encoding can also eliminate retrieval-induced forgetting. Not all studies have found evidence of competition dependence, though. Jakab and Raaijmakers (2009) examined whether study position within a category determines an item’s susceptibility to retrieval-induced forgetting. They reasoned that items studied early in a list should be more accessible because of primacy at the time of retrieval practice, and thus more competitive, rendering those items more susceptible to inhibitory-based forgetting. Across two experiments, however, they failed to find any evidence of early-studied items suffering more forgetting than later-studied items. In another example, Williams and Zacks (2001) attempted to replicate M. C. Anderson et al. (1994) by having participants study exemplars of high and low taxonomic strength prior to receiving retrieval practice. Unlike M. C. Anderson et al., however, low-taxonomic-strength items suffered just as much forgetting as did high-taxonomic-strength items. Although these two studies have called competition dependence into question, they come with an important caveat—both employed a category-cued final test that failed to control for output interference. As we will discuss later, it can be difficult, if not impossible, to identify the theoretical mechanisms underlying retrieval-induced forgetting when output interference is not controlled. If inhibition underlies retrieval-induced forgetting, then populations with inhibitory deficits should demonstrate less retrieval-induced forgetting than do populations without such deficits. Several studies, however, have observed normal, or even exaggerated, levels of forgetting in populations presumed to have inhibitory deficits (e.g., frontal-lobe patients, Conway & Fthenaki, 2003; healthy older adults, Aslan et al., 2007; Gómez-Ariza, Pelegrina, Lechuga, Suárez, & Bajo, 2009; young children, Ford, Keating, & Patel, 2004; Zellner & Bäuml, 2005; Alzheimer’s patients, Moulin et al., 2002; and schizophrenia patients, Nestor et al., 2005). At first glance, these findings appear to be quite problematic for the inhibitory account. However, there are several reasons why populations with assumed inhibitory deficits might exhibit normal levels of retrieval-induced forgetting. First, many of these studies did not independently verify inhibitory functioning. In the case of older adults, for example, perhaps a subset of individuals do not have any difficulties with inhibition, and it may be these high-functioning individuals who are more likely to participate in experiments. Second, inhibition is unlikely to be an all-or-none resource. In fact, in their recent work, Ortega, Gómez-Ariza, Román, and Bajo (2012) found that healthy older adults exhibit normal levels of retrieval-induced forgetting when retrieval practice is undertaken under typical conditions, but significantly less retrieval-induced forgetting when retrieval practice is undertaken concurrently with a task that taxes executive control. This finding suggests that the consequences of inhibitory deficits for retrieval-induced forgetting may only become apparent when they are great enough to impede the successful inhibition of competing responses. When retrieval practice is made relatively simple, as is often the case in research with special populations, individuals with subtle inhibitory deficits may be able to successfully suppress interfering items. Perhaps the most important factor accounting for why populations with inhibitory deficits might exhibit normal levels of retrieval-induced forgetting concerns the correlated costs and benefits of inhibition (M. C. Anderson & Levy, 2007). Ironically, many of the aforementioned populations may have exhibited retrieval-induced forgetting specifically because of their inhibitory deficit. The idea is that retrieval-induced forgetting can be produced not only by inhibition during retrieval practice, but by the lack of inhibition at test. Because practiced items are strengthened, they are likely to interfere with the later recall of nonpracticed items from the same category. Thus, without the ability to inhibit the items strengthened during retrieval practice, participants with inhibitory deficits may be less able to overcome interference from those items and, as a consequence, may be less able to successfully retrieve nonpracticed items at test. Importantly, the correlated-costs-and-benefits issue is most problematic in studies that fail to control for output interference, such as those that employ a category-cued final test. And, not surprisingly, the vast majority of studies that have shown normal levels of retrieval-induced forgetting in populations with presumed inhibitory deficits have employed just this type of test (e.g., Conway & Fthenaki, 2003; Ford et al., 2004; Moulin et al., 2002; Nestor et al., 2005; Zellner & Bäuml, 2005). Indeed, when output interference is controlled, populations with presumed inhibitory deficits generally do demonstrate impaired levels of retrieval-induced forgetting (e.g., schizophrenia patients, Soriano et al., 2009; ADHD patients, Storm & White, 2010; and young children, Aslan & Bäuml, 2010). Storm and White, for example, found that individuals diagnosed with ADHD exhibited normal levels of retrieval-induced forgetting on a category-cued final test but failed to exhibit any retrieval-induced forgetting on a category-plus-letter-stem-cued final test. Future research will need to go back and investigate each population using tests that control for output order before we can conclude whether they suffer impaired levels of inhibitory-based retrieval-induced forgetting. M. C. Anderson and Levy (2007) argued that the best way to control for the correlated-costs-and-benefits problem is to use a cue-independent final test, but the data reviewed above suggest that using an item-specific final test (e.g., category plus stem) may be sufficient. The inhibitory account claims that retrieval-induced forgetting has positive and functional consequences, in that it allows individuals to overcome inappropriate responses and prevent fixation on prepotent competitors. Despite being a core feature of the inhibitory account, strikingly little research has tested this hypothesis. One exception is recent work by Storm and Angello (2010), who measured individual differences in retrieval-induced forgetting to see whether those differences predicted the ability to overcome interference during creative problem solving. Participants were given two tasks: one measuring retrieval-induced forgetting (using a category-plus-stem final test that controlled for output interference), and another measuring the ability to overcome fixation on the remote associates test (Mednick, 1962). The remote associates test requires participants to generate a target associate related to each of three cue words (e.g., for the problem sleep, bass, complex, a solution is deep). The task can be difficult because the strongest associates to each cue word are not associated to the other cue words, and would not, therefore, serve as viable solutions (e.g., rest, guitar, and difficult, respectively). To solve a given problem, participants must retrieve a remote associate in the face of competition from stronger inappropriate associates. Replicating S. M. Smith and Blankenship (1991), Storm and Angello found that exposing participants to inappropriate or misleading associates prior to problem solving caused mental fixation, thus impairing problem-solving performance. However, the extent to which participants suffered fixation was predicted by the extent to which they exhibited retrieval-induced forgetting. Whereas participants who exhibited the least forgetting suffered substantial fixation, participants who exhibited the most forgetting suffered little, if any, fixation (see also Storm, 2011a; Storm et al., 2011; Storm & Koppel, 2012). The correlation between forgetting and the ability to overcome fixation is difficult for noninhibitory accounts to explain. If retrieval-induced forgetting is the consequence of interference, then individuals who exhibit more forgetting should be more, not less, susceptible to interference during problem solving. However, the correlation is clearly predicted by the inhibitory account. Individuals who exhibit the most retrieval-induced forgetting presumably do so because of their ability to overcome interference, which allows them to overcome fixation during problem solving. Aslan and Bäuml (2011) recently provided another demonstration of the functional benefits of inhibition. They found a significant correlation between retrieval-induced forgetting and working memory capacity, a construct believed to reflect the ability to control attention and inhibit task-irrelevant information (Conway & Engle, 1994; Kane & Engle, 2002). Specifically, individuals who exhibited greater working memory capacity exhibited more retrieval-induced forgetting than did individuals who exhibited less working memory capacity. This finding is also consistent with the inhibitory account and cannot easily be explained by interference-based accounts (i.e., why would high-capacity individuals be more susceptible to interference?). Neuroimaging methods have also been employed to investigate the neural systems that are engaged when people attempt to resolve competition during retrieval. Functional magnetic resonance imaging studies have revealed that competitive retrieval practice engages the lateral and medial prefrontal cortices (PFCs; Kuhl et al., 2007; Wimber, Rutschmann, Greenlee, & Bäuml, 2009), regions broadly considered to support cognitive control. Similarly, electroencephalogram studies have shown that retrieval practice is associated with enhanced positivity over frontal electrode sites (Johansson et al., 2007). Kuhl et al. expanded on these basic findings by showing that activity in both the lateral and medial PFCs decreases across repeated retrieval-practice trials, as would be expected if each successive retrieval attempt required less cognitive control. These findings are ambiguous, however, about whether retrieval-induced forgetting is the result of interference or inhibition. PFC could be engaged in response to increased control demands due to the presence of competing alternatives (i.e., blocking), or it could mediate an inhibitory process that is elicited by competition. In support of the inhibitory account, Kuhl et al. found that decreases in the engagement of two distinct PFC regions—namely, the anterior cingulate cortex (ACC) and right anterior ventrolateral PFC—predicted how much retrieval-induced forgetting was observed on the final test. More recent studies have revealed similar relationships between PFC activity and forgetting. Wimber et al. (2009) found that increased recruitment of ACC and dorsolateral PFC during retrieval practice predicted subsequent retrieval-induced forgetting. Johansson et al. (2007) found that their frontal event-related potential component predicted retrieval-induced forgetting. Hanslmayr, Staudigl, Aslan, and Bäuml (2010) found that increased theta power over right frontal sites during competitive retrieval predicted retrieval-induced forgetting. Finally, Wimber et al. (2011) found that variation in genes regulating prefrontal dopamine predicted the magnitudes of both retrieval-induced forgetting and activation within right anterior PFC—including an anterior ventrolateral PFC region similar to the one identified by Kuhl et al. (2007). Importantly, in none of the above studies was PFC activity correlated with target strengthening. That is, although PFC activation predicted the extent to which Rp– items were forgotten, it did not predict the extent to which Rp+ items were facilitated. This finding echoes the behavioral findings described earlier on strength independence, only now the neural correlates of forgetting appear to be uncorrelated with the strengthening of targets. These observations are again difficult to reconcile with noninhibitory accounts that posit that forgetting is due to the strengthening of practiced items. In order for any noninhibitory account to be able to explain such data points, one would need to introduce a mechanism that could predict retrieval-induced forgetting independently from the strengthening of practiced items. In light of this evidence, a tentative model of PFC functioning during selective retrieval has emerged (Kuhl & Wagner, 2009; Levy, Kuhl, & Wagner, 2010). According to this account, mnemonic competition engages PFC broadly, but for many regions within PFC there is little evidence that activity in those regions directly relates to later forgetting of competitors, suggesting that these regions do not contribute to inhibition. For example, the left mid-ventrolateral PFC is robustly engaged in a noninhibitory manner by retrieval practice, consistent with prior research showing that this region is recruited postretrieval to select amongst multiple active representations (Badre & Wagner, 2007). Activity in this region does not correlate with retrieval-induced forgetting, and therefore seems more likely to be involved in noninhibitory processes related to resolving competition. The studies described above suggest that in contrast to regions like left mid-ventrolateral PFC, activity in other PFC regions—such as ACC, dorsolateral PFC, and anterior-ventrolateral PFC—is related to the forgetting that competing memories suffer as a consequence of inhibition, suggesting that the latter PFC regions are involved in producing behavioral inhibition. It remains unclear, however, exactly how these regions are involved. One possibility is that they guide attention toward task-relevant responses, which then indirectly inhibits competitors, consistent with biased-competition models (e.g., Miller & Cohen, 2001). Interestingly, one computational model of retrieval-induced forgetting has suggested that weakening of competing representations could occur locally within other regions thought to store these memories (i.e., the medial temporal lobes), suggesting that the PFC may only be involved in selecting representations, and not directly in inhibition itself (Norman et al., 2007). Alternatively, lateral PFC regions may implement a form of inhibitory control that directly weakens competing representations (see Levy & Anderson, 2002). These PFC regions may be directly involved in inhibition by directly modulating the posterior cortical sites that support representations. Unfortunately, the current evidence cannot distinguish between these distinct versions of the inhibitory account. Finally, neuroimaging evidence from the final test phase of the retrieval-practice paradigm has also been offered as support for the inhibition account (for a discussion, see Bäuml et al., 2010). When participants retrieve items that were competitors in the earlier retrieval-practice phase (i.e., Rp– items), increased activation is observed in left anterior ventrolateral PFC (Wimber et al., 2008; but see Kuhl, Kahn, Dudukovic, & Wagner, 2008, who observed different PFC regions). This region has previously been implicated in controlled access to stored representations, with activity being greater for the retrieval of weak representations than for strong ones (see Badre & Wagner, 2007). Taking this perspective, it has been suggested that activation in the anterior ventrolateral PFC during the retrieval of Rp– items may reflect the weakened state of these items’ representations, as is predicted by the inhibitory account. We believe that the evidence summarized above provides reasonably strong support for the inhibitory account of retrieval-induced forgetting. Importantly, this evidence comes from several lines of research, each of which provides a challenge to existing noninhibitory accounts. Even if one accepts the inhibitory account as promising, though, clearly many questions are still left to be answered. For example, the evidence supporting cue independence and competition dependence is less than incontrovertible—as such, what would the implications be if retrieval-induced forgetting were shown to be cue dependent or competition independent? Also, despite the theoretical importance, there is relatively little evidence of the behavioral benefits associated with retrieval-induced forgetting. The crux of the inhibitory account is that inhibition resolves competition in a way that aids the retrieval of weaker associates, yet few studies have actually demonstrated this functional benefit. In what follows, we will discuss these and other issues in an effort to advance the direction and effectiveness of future research on retrieval-induced forgetting. Cue independence is considered by many to be the most important evidence supporting the inhibitory account of retrieval-induced forgetting. In fact, cue independence has become somewhat of a “gold standard,” with many researchers reluctant to argue that a particular forgetting effect is caused by inhibition until that forgetting has been shown to be cue independent. Moreover, M. C. Anderson and Levy (2007) have argued that cue-independent tests provide a more pure measure of inhibitory-based forgetting. Given this emphasis, it is not surprising that cue independence has been the target of extensive debate. The issue that we address here is not whether retrieval-induced forgetting is cue independent—we hope and expect that future research will settle that debate—but rather, what are the theoretical implications if retrieval-induced forgetting is not cue independent? First, it is important to note that cue independence is a characteristic of the specific inhibitory account put forth by M. C. Anderson and colleagues (e.g., M. C. Anderson, 2003; M. C. Anderson, Green, & McCulloch, 2000; M. C. Anderson & Spellman, 1995). M. C. Anderson has argued that retrieval-induced forgetting is cue independent because inhibition acts at the level of an item’s representation. However, it is not necessary for inhibition to act at that level. For example, competing items could be suppressed in a cue-specific manner that renders them less recallable in relation to the particular cues that elicited their inappropriate activation (for related arguments, see Perfect et al., 2004; Racsmány & Conway, 2006). Cue independence is predicted by M. C. Anderson and colleagues because their definition of inhibition implies that the representations of the Rp– items are suppressed directly. If inhibition is more broadly defined as a goal-directed mechanism that acts to resolve interference by diminishing the accessibility of nontarget items (R. A. Bjork, 1989), however, the property of cue independence is no longer required. The point that we wish to make here is that cue independence is a hypothesized, not a necessary, property of inhibition. This is not to say that research examining cue independence is unmerited. Certainly if retrieval-induced forgetting is cue independent, such evidence would be difficult for interference-based accounts to explain. Our point is simply that evidence against cue independence would not in itself prove that retrieval-induced forgetting is the consequence of interference. Researchers have often referred to the inhibitory and noninhibitory accounts of retrieval-induced forgetting as if they were mutually exclusive—that to find evidence in support of one is to find evidence against the other. It is becoming clear, however, that many effects of retrieval-induced forgetting to some extent are multiply determined. The challenge for inhibitory proponents, then, is not to prove that noninhibitory mechanisms cannot cause retrieval-induced forgetting, but rather, to prove that noninhibitory mechanisms are insufficient to explain such forgetting. As we discussed earlier, one methodological practice that has complicated theoretical interpretations of retrieval-induced forgetting is the use of category-cued final tests in which participants are provided with category cues and asked to recall the associated exemplars. Interference may contribute substantially to forgetting effects on this type of test because the order in which items are recalled is uncontrolled: Participants are likely to recall Rp+ items first, thus impeding the recall of Rp– items through output interference (Roediger, 1973; A. D. Smith, 1971; Tulving & Arbuckle, 1963). One consequence of failing to control output interference has been the frustrating inability to interpret studies examining populations with inhibitory deficits (M. C. Anderson & Levy, 2007). Has intact retrieval-induced forgetting been observed in young children, adults with frontal-lobe damage, schizophrenia patients, and Alzheimer’s patients because such populations do not have deficits in the type of inhibition that underlies retrieval-induced forgetting? Or has intact retrieval-induced forgetting been observed in these studies because output interference was not controlled? Recent work employing item-specific final-test cues (e.g., category-plus-stem; recognition) suggests the latter interpretation, but more work will be needed to investigate each population independently. The determinants of performance on category-cued tests are difficult to interpret, even when individual differences are not being considered. Remember, for example, the finding byJakab and Raaijmakers (2009) that items studied early in a list do not suffer more retrieval-induced forgetting than do items studied later in a list, a finding that seems to contradict competition dependence. Because Jakab and Raaijmakers employed a category-cued final test, however, it is difficult to separate inhibitory and noninhibitory sources of forgetting. Early-studied items may have suffered more forgetting owing to inhibition during retrieval practice, whereas later-studied items may have suffered more forgetting owing to blocking-based output interference at test. Our more general point is that, for theoretical accounts of retrieval-induced forgetting to progress, it is critical that researchers employ methodologies that can distinguish between the inhibitory and noninhibitory determinants of forgetting. We know that, in some situations, retrieval-induced forgetting can be caused, at least in part, by noninhibitory processes. When researchers are unable to rule out such processes, it is difficult, if not impossible, to interpret the theoretical implications of their findings. Similarly, we know that some conditions can prevent retrieval-induced forgetting from being observed. For example, retrieval of an item that is well integrated with another item—owing either to the instructions or the nature of the materials—tends not to result in retrieval-induced forgetting (e.g., M. C. Anderson, Green, & McCulloch, 2000; M. C. Anderson & McCulloch, 1999; Chan, 2009; Goodmon & Anderson, 2011). As a consequence of this type of interitem integration, researchers may mistakenly attribute a failure to observe forgetting to some other condition or manipulation. M. C. Anderson (2003) has provided a detailed discussion of numerous factors that can complicate research on retrieval-induced forgetting, and we advise researchers to carefully consider these factors. It is surprising that, despite widespread interest in retrieval-induced forgetting, few studies have directly tested the hypothesis that inhibition facilitates retrieval by resolving competition. One approach has been to demonstrate competition dependence—that the extent to which items suffer forgetting depends on the extent to which they compete during retrieval practice (e.g., M. C. Anderson et al., 1994; Storm et al., 2007; but see Jakab & Raaijmakers, 2009). If retrieval-induced forgetting were found to be independent of whether nontarget items compete with retrieval practice, such a finding would be very difficult for inhibitory accounts to explain. From this perspective, competition dependence is an important assumption of the inhibitory account. Despite the importance of this point, relatively few studies have directly tested it—a paucity that we hope future research will address. We expect that researchers will encounter a number of complications in examining the relationship between competition, inhibition, and retrieval-induced forgetting. For example, one might expect to find a straightforward relationship between competition and forgetting, such that competition determines the degree to which inhibitory control is recruited, which in turn determines retrieval-induced forgetting. Inhibition is unlikely to be perfect, however, and as demand for inhibition increases due to increased competition, so might the potential for inhibition to fail. Thus, even if the need for inhibition increases with competition, and even if inhibition is increasingly recruited to deal with that competition, the imperfect nature of inhibition may fail to cause additional forgetting. On the basis of this logic, M. C. Anderson and Levy (2011) argued for a demand/success trade-off, such that the relationship between competition and forgetting follows a nonmonotonic function. Specifically, the magnitude of retrieval-induced forgetting may be strongest for items of moderate competitiveness and reduced for both high-competitive items, which may be too intrusive to successfully inhibit, and low-competitive items, which simply do not trigger the need for inhibition (see also Newman & Norman, 2010; Norman et al., 2007). The demand/success trade-off could result in a very misleading pattern of results, especially in the context of comparing individuals or populations with varying degrees of inhibitory ability. One solution suggested by M. C. Anderson and Levy (2011) is to parametrically manipulate the number of retrieval-practice trials. Retrieval-induced forgetting tends to become more pronounced as the number of retrieval-practice trials is increased (Johnson & Anderson, 2004; Levy et al., 2007; Storm et al., 2008; but see Macrae & MacLeod, 1999), presumably because each trial provides an additional opportunity to inhibit competing items that were not successfully inhibited during previous trials. As compared to less-competitive items, highly competitive items may show little forgetting initially, but then progressively more forgetting as retrieval practice continues, thus providing an opportunity for inhibition to be successful. Finally, although competition dependence suggests that competition is necessary to trigger inhibition, it does not provide evidence that countering competition would actually produce benefits for retrieval. One way that researchers have examined this issue is to measure individual differences in retrieval-induced forgetting, to see whether such differences predict the ability to overcome competition on other tasks (e.g., Aslan & Bäuml, 2011; Storm & Angello, 2010; Storm et al., 2011). The extant evidence suggests that inhibition may indeed afford important functional benefits (e.g., better working memory and problem solving), but this line of research should be expanded upon in future research to build a more compelling case.2 If the inhibition underlying retrieval-induced forgetting does afford functional benefits, then identifying the nature of those benefits will inform our understanding of the nature of the inhibition. Another important issue that needs to be addressed concerns how the inhibitory process actually works. Most inhibition-based theories assume that competing items are suppressed in order to facilitate the retrieval of target items, but how and when are nontarget items identified and targeted for inhibition? It may seem that in order for inhibition to function adaptively, competing items would need to be identified as nontargets before being inhibited. But, if this is the case, why is it necessary to suppress items that have already been identified as nontargets? One possibility is that inhibiting nontarget items reduces the extent to which they intrude in subsequent retrieval efforts. The search for a target item presumably continues even after competitors have been identified as nontargets, and inhibition may facilitate the eventual retrieval of a target item by preventing competitors from being repeatedly sampled. It also seems possible that inhibition acts in a preemptive manner to suppress items without first confirming that such items are indeed nontargets. In many instances, such a process would be advantageous, as inappropriate items could be suppressed before they had a chance to be considered more fully. In other instances, however, such a process might cause potentially appropriate items to be inhibited as well. More generally, inhibition may be employed to reduce the accessibility of an item in memory for a variety of reasons, and not simply because the item has been identified as inappropriate given the available set of retrieval cues. For example, Storm and Jobe (2012) found that individuals who exhibit greater levels of retrieval-induced forgetting recall significantly fewer negative events on an autobiographical memory task than do individuals who exhibit reduced levels of retrieval-induced forgetting. Storm and Jobe (2012) argued that participants with greater inhibitory ability—as evidenced by their retrieval-induced-forgetting scores—are more likely to inhibit the recall of negative memories, despite the fact that such memories have the potential to serve as appropriate responses on the autobiographical memory task. In this case, a bias toward remembering positive information about one’s self and maintaining positive affect may be the cause of negative information being targeted by inhibition, as opposed to such information being targeted because it is identified as nontarget. Another theoretical challenge will be to explain how and why the consequences of inhibition persist. As M. D. MacLeod and Macrae (2001, p. 149) argued, “Inhibitory effects need only endure until perceivers have satisfied their current processing objective. . . . For this reason, it would be counterproductive if temporary forgetting endured for a considerable period of time. Indeed, if inhibition were to last indefinitely, its effects would be equivalent to the permanent erasure of items from memory.” Although the exact temporal boundary conditions of retrieval-induced forgetting have yet to be determined, the effect clearly does persist beyond the current processing objective, sometimes affecting recall as much as a week later (e.g., Garcia-Bajos et al., 2009; Storm, Bjork, & Bjork, 2012; but see, e.g., Chan, 2009; M. D. MacLeod & Macrae, 2001). One speculative explanation for why retrieval-induced forgetting persists is that, in addition to resolving interference during a current retrieval attempt, inhibition may prevent interference from occurring during future retrieval attempts. More specifically, if an item is inappropriately activated during one retrieval attempt, there might be an advantage to making that item less likely to be activated during a future retrieval attempt. In some instances, having the consequences of inhibition persist would be maladaptive, particularly if the competitors were to become relevant targets at a later time. More generally, however, the persisting consequences of inhibition might provide a mechanism for updating long-term memory in a way that meets the continuously changing needs of the environment (e.g., J. R. Anderson, 1989; J. R. Anderson & Schooler, 1991; E. L. Bjork & Bjork, 1988; R. A. Bjork, 1978). Note that inhibition itself does not need to persist in order to have a persisting effect. By rendering competing items even temporarily less accessible, those items may be deprived of the benefits of additional retrieval practice and be less likely to be integrated with the consolidation of new information. Indeed, the power of inhibition to update long-term memory may lie primarily in its ability to influence subsequent patterns of learning and rehearsal. As a further speculation, in this context it seems possible that cue-dependent forgetting might make more functional sense than cue-independent forgetting. To adaptively update the future accessibility of an item in memory, that item should be rendered inaccessible in response to the particular cues and contexts that prompted its inappropriate activation, while allowing it to remain accessible given other cues and contexts. Consequently, although an item may interfere with retrieval and be inhibited in response to one cue, that same item could retain its accessibility if targeted by another, more appropriate cue. Over time, the selective consequences of retrieval practice and inhibition might act together in such a way that information becomes more accessible in contexts in which it is likely to be useful, and less accessible in contexts in which it is less likely to be useful. Given the breadth of evidence cited in the present progress report, there appears to be reasonably strong support for the hypotheses that an inhibitory process acts during retrieval to resolve competition and that this process is a major, although not the sole, factor underlying retrieval-induced forgetting. Although some lines of evidence have been challenged (e.g., Camp et al., 2009; Jakab & Raaijmakers, 2009; Perfect et al., 2004), and some investigators are skeptical about inhibitory mechanisms in general (e.g., C. M. MacLeod et al., 2003), at present no clearly articulated alternative theories can account for all of the sources of the evidence. In this sense, we may be rapidly reaching the point, if we are not there already, at which the burden of evidence changes. That is, from the current evidence, it may be more parsimonious to assume that inhibition plays a role in memory than to assume that it does not. Obviously, a more complete depiction of the role that inhibition plays in retrieval remains to be specified. Although the inhibitory account is often referred to as if it is a single, unitary theory, this is clearly not the case. Instead, a family of theoretical perspectives invoke inhibition, and these perspectives are capable of explaining large—although not completely overlapping—subsets of the existing data. For example, is inhibition accomplished by mechanisms specific to retrieval or by the more general mechanisms of executive control? Does inhibition act at the level of an item’s representation to cause cue-independent forgetting? Or does inhibition act in a cue-specific manner to cause cue-dependent forgetting? As the literature advances, it will become increasingly important to distinguish between distinct versions of the inhibitory account, in addition to providing evidence against noninhibitory accounts. Finally, and perhaps most importantly, future research should not lose sight of the function or benefit that the inhibition underlying retrieval-induced forgetting is presumed to afford. A core tenet of the inhibitory account is that retrieval-induced forgetting is the consequence of a process that resolves competition and facilitates retrieval, yet relatively few studies have tested this hypothesis directly. Moreover, the function of inhibition in real-life retrieval situations—which are what we ultimately care about—must be explored. If inhibition does play a key role in memory, then evidence of that role should extend beyond simple laboratory studies. To address these and other important issues, we encourage researchers to move beyond simply pitting the inhibitory and noninhibitory accounts against each other, but to attempt to delineate a more precise specification of how inhibition functions in memory. In many instances, however, researchers may not want to control output interference. In certain real-world contexts, for example, the combined effects of inhibition and output interference may be of interest, and controlling the order of output would remove an important and potentially powerful consequence of selective retrieval practice. It is important to note that individuals may differ in the extents to which they experience competition. For example, individuals with greater executive control may constrain their retrieval search in such a way that they are less susceptible to competition during retrieval practice (e.g., Unsworth & Engle, 2006). Thus, although individuals with greater executive control may be more capable of inhibition, under certain conditions they may be able to circumvent competition in such a way that they are less likely to need to recruit the type of inhibition that underlies retrieval-induced forgetting.